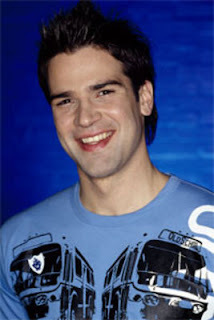 Hot on the heels of Konnie's exit - Gethin Jones is quitting Blue Peter after three years. The BBC confirmed that the 30-year-old is leaving at the end of the current series in June "to explore other avenues". Jones, who appeared on the last series of Strictly Come Dancing, had always planned to step down after three years, his spokeswoman said. He said, "It's very sad to be jumping ship, but I will still be on-screen until the end of the series whilst working on other projects. I've loved it, lived it ... and now I feel the time is right to leave it." .